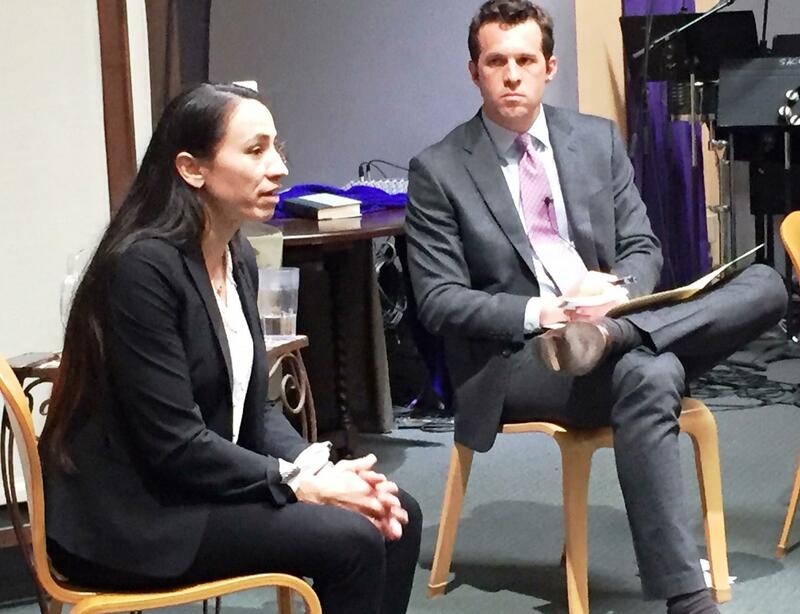 Kansas 3rd District Rep. Sharice Davids held her first town hall at a church in Olathe on Sunday. She was interviewed by Jay Senter from the Shawnee Mission Post. Hundreds of people packed an Olathe, Kansas, church on Sunday afternoon to hear from newly elected Rep. Sharice Davids at a town hall. Davids had promised regular town halls during her campaign for the 1st Congressional District against former Rep. Kevin Yoder. People want to interact with their representatives, she said. “Not just to hear from their representative but to be able to ask the questions and voice their opinions and their ideas and their concerns,” Davids said after Sunday's event. Yoder last held a town hall in August 2017. That event was sponsored by the Kansas City Star and limited to 200 people. The Davids’ town hall was open to the public although her congressional office did ask for RSVPs. The overwhelmingly friendly crowd cheered as Davids talked about finding a way to provide health care for everyone (although she said she is not ready to sign onto a Medicare for all plan just yet), advocating for tougher background checks for gun buyers and refusing to provide money for a wall along the U.S. southern border. There were scattered boos from a few supporters of President Trump when she voiced her opposition to the wall. Although even conservatives in the audience were pleased Davids was in the district holding a town hall. “Our representatives should definitely keep in contact with the people that they represent,” said Maurine McLellan from Stilwell who was wearing a Make America Great Again hat. The 3 p.m. town hall started just as the U.S. Department of Justice released its summary of the Mueller report. Davids said after the town hall that she hadn't had time to read the summary. Even though the Mueller report was breaking news, the audience didn't seem interested. The vast majority of questions were about health care and immigration. “Over this last few months I haven’t been getting asked much about it (the Mueller report) and I think it’s because people are so concerned about some of the other issues,” Davids said. Correction: The original story incorrectly reported when Kevin Yoder last held a town hall. The story has since been corrected.